Taking your first dog home is probably one of the most exciting moments of your life. Not only have you given this pup the awesome new home it deserves, but you’ve also acquired a furry best friend and partner in crime who will stick by your side through thick and thin. 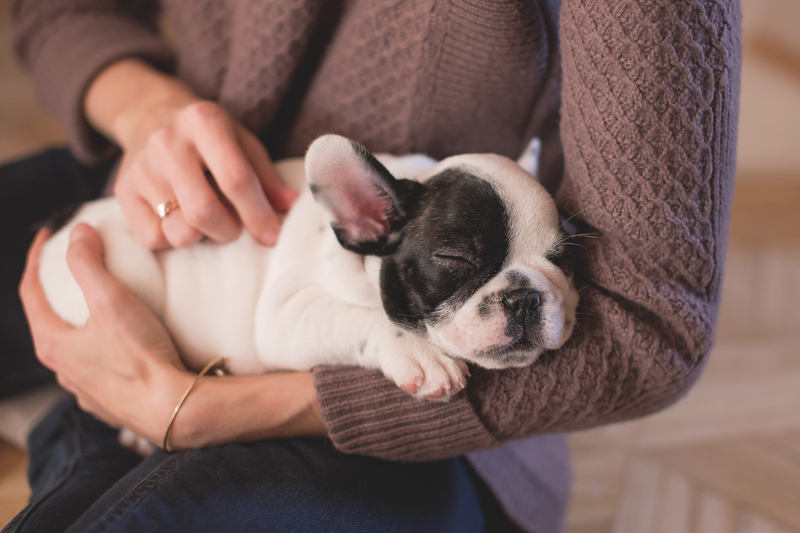 Although you’re currently in what’s much like a honeymoon phase for new pet parents, you’ll quickly realize that there is a lot more that goes into providing for this adorable little ball of fur than you might have thought. Owning a dog is a big commitment that comes with some big responsibilities. This little creature now relies on you to be the sole provider of care, nutrition, entertainment, and love for the rest of its life. Although there’s a lot of work that goes into your newfound role as a pet parent, the benefits will far outweigh any potential drawbacks. Here are a few tips to help you get your relationship with your new dog started off on the right foot! Many assume that you can take a random approach to feeding your dog. The problem with feeding your dog at random is that you risk the chance of under- or overfeeding your pup, which could lead to healthcare issues in the future. To ensure that you’re feeding your dog the proper amount each day, check out an online guide to find the feeding requirements for your pet according to its specific needs. Pet Food Chat offers up an excellent guide that discusses pet food types and proper feeding portions that can help you come up with a healthy diet plan for your dog. Although it may be tempting to get a bit lax in your potty training schedule as your new dog gets acquainted with your home, it is absolutely essential that you create a potty training regime and stick to it – especially in the developmental phases of your dog’s relationship with you and your home. If you haven’t potty trained a pet before, you’ll want to check out a guide or two to make sure you create an effective training schedule. Pet MD and The Humane Society both have pretty solid guides for housetraining a new puppy. Sometimes one of the most difficult things for humans to admit is that we need a little help. Although you might think you can manage most challenges your new dog presents, some situations might require a little help from an outside source. If you’re having trouble with the housebreaking process or are finding that your pup is destroying your house while you’re gone, you might want to look into hiring a pet sitter or a doggy daycare service to help you out. You can use locator sites like FindDoggyDaycare.com or PetSit.com to find pet care help in your area. Socializing your new dog will seriously benefit you later. By introducing your dog to new people and pets now, you significantly increase its ability to have healthy interactions with others at parks and guests in your home later on. Many choose to dive right into the socializing process by taking their pets to a park to socialize with other humans and animals right off the bat. However, experts recommend creating a socializing plan to make the process safer and more effective. Nylabone offers a dog training guide that can help you build an effective socializing strategy for your dog. Few things are more fun than watching your dog run around and entertain itself for hours on end. Although it’s plenty fine to let your dog roam freely in a leashless dog park or in your own back yard, abiding by the leash laws where they are enforced is extremely important when it comes to ensuring the safety of yourself, your dog, and other people and other animals around you. If simply stating that leashing your dog when and where necessary will help you protect yourself and others isn’t enough to convince you to keep your dog on a leash sometimes, I encourage you to check out Vet Changes World’s breakdown of the top five reasons you should leash your dog where the leash law is enforced. Now that you’ve got the important guidelines down, it’s time to get to the fun part which is watching your dog grow and become accustomed to its new home. If you have any questions or perhaps a tip you’d like to share with other readers, post away in the comments below!